In France this species is to be found only in the warm south-eastern quarter. 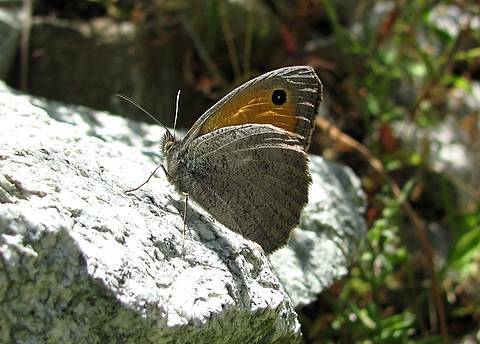 It is very similar to the Meadow Brown (Maniola jurtina) and careful inspection of the markings is necessary for correct identification. The female of lycaon is relatively easier to distinguish as she has two ocelli on the forewing (only one in jurtina) although one can overlook her all the same if she doesn't lift the forewing enough to reveal the second eyespot from this underside view. 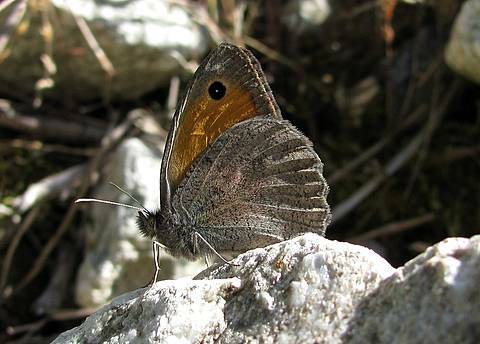 There are some other quite discrete diagnostic features from the underside; on the forewing there is a darker, incomplete submarginal line bordering the orange ground colour and the greyer margin. The hindwing is greyer than jurtina, has a lightly grainy feel to it and pronounced black pupils in the postdiscal area are unusual. There is generally a noticeably thickish, greyer postdiscal band with a sharp (almost right-angled) 'elbow'. 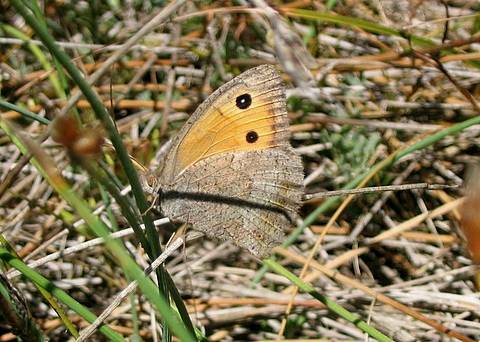 There's another species in southern Europe Hyponephele lupina which is also similar.